My latest column for the Ottawa Citizen was published this past weekend. In this column, I discussed Washington’s plan to delay their decision on the Keystone XL pipeline. My column (copied below) also appeared in the November 20th edition of RealClearPolitics, an online news source covering U.S. politics. No one is a greater admirer of the dynamic and generous society that is America, and when I consider all the nations we could have had living next door I often think we won the neighbourhood lotto. But for some reason Mencken’s phrase kept echoing in my head when I heard the news about Washington’s plan to delay their decision on the Keystone XL pipeline. Folly is too kind a word for this decision. It is the crassest pandering to a tiny minority of Americans whose demands run demonstrably contrary to U.S. interests. And even that electoral calculation is misconceived, for it will weaken, not strengthen, Barack Obama. The background: the Alberta oilsands must have outlets to markets, chiefly in the U.S. The most efficient way is a new pipeline running through the American heartland to the Gulf of Mexico. There on the Gulf Coast is a concentration of refineries with the capacity to refine oilsands bitumen, something few refineries are able to do. Everyone wins. New oilsands extraction and upgrading capacity can continue, fuelling one of the greatest industrial projects Canada has ever seen. Scores of billions of dollars will be invested in this massive resource if market access can be ensured. There is no prospect of reducing Americans’ consumption of oil in the short to medium term without a painful and unnecessary decline in their standard of living. Most of the alleged alternatives to oil are simply no real substitute for its unique properties, especially as a transport fuel. Alternative sources of oil exist, but they tend to come from far less desirable places than Canada – think Saudi Arabia and Venezuela. Those places have lower environmental, human rights, labour and rule of law standards than we do. Less oil from Canada doesn’t mean less consumption, just nasty sources of oil. Moreover building the pipeline would unleash a torrent of American economic activity, chiefly in the depressed construction industry. Trade unions, one of the constituencies most assiduously courted by President Obama, were vociferous in their support. And yet all this was not enough to secure what is normally a pro forma approval from Washington. The United States is covered in pipelines, which historically are a lowcost means of transporting oil, gas and many hazardous chemicals in an extremely safe manner. Bringing a needed commodity to American consumers in an environmentally sound manner while reducing the country’s dependence on oil from despicable regimes and creating thousands of jobs at a time of high unemployment. That sounds like a lot of ticks in the right boxes. But the decision to punt the Keystone decision until after the 2012 election was not based on the merits of the proposal, nor on a reasoned assessment of America’s interests. Instead the administration kowtowed to a coalition of NIMBYists and green activists whose arguments were embarrassingly thin. Take the concern of some Nebraskans that the pipeline would cross the Ogallala aquifer, one of the chief sources of water in a number of the heartland states. Clearly the health of the aquifer is a matter of vital interest for many Americans, and they are perfectly entitled to question the project proponents closely about the danger of leaks. But the answers should have been more than satisfactory for a state whose entire supply of oil and gas arrives essentially by pipeline. Anyone looking at a map showing the number of pipelines already transecting the territory covering the aquifer would have to conclude that something terrible had happened to make people feel that pipelines had suddenly become untrustworthy. But other than a couple of entirely minor spills in recent years that represent an infinitesimal fraction of the oil transported safely by pipeline in the U.S., no such incident has occurred. And in any case the pipeline’s proponent has promised unheard of levels of safeguards and construction standards to allay fears of risks that are vanishingly small. To no avail. The pipeline has suffered the worst fate possible: it became a symbol. To those convinced of an apocalyptic vision of a society hurtling toward environmental Armageddon, XL came to represent the sum of all their fears. Combine that with an environmental movement moving strategically to throttle the oilsands by closing off its access to markets, and you had a political force that made up in passionate intensity what it lacked in either logic or votes. President Barack Obama thinks he has thrown them a bone. Instead what he has done is to give comfort to a Luddite movement that thinks you can make modernity go away by holding your breath until your face turns blue. The problem is that they may get their wish. Brian Lee Crowley is the managing director of the Macdonald-Laurier Institute, an independent non-partisan public policy think tank in Ottawa: macdonaldlaurier.ca. My latest column for the Ottawa Citizen is copied below. It also appeared in National Post Chris Selley’s Weekend Roundup. You learn such interesting things in them—things you might never have known otherwise. Take the front page article in Thursday’s Citizen about how the Professional Institute of the Public Service of Canada (PIPSC), representing professionals in the federal public service, is considering joining the Canadian Labour Congress (CLC). The CLC is the big union central that brings together under one umbrella most of the trade unions in Canada today. See what I mean about newspapers? I didn’t know all that stuff. Gosh, in fact I’d been labouring under a terrible misapprehension. I was all confused by the fact that the government’s “temporary” stimulus spending to combat the recession was turning out not to be temporary at all. Instead that stimulus has largely been folded into the spending base and has permanently set government spending at a higher level. Not only that, but I was blinded by the fact that if we could just wring the “temporary” stimulus spending out of the budget, and return to the pre-recession rate of spending growth, we’d be back in budget balance today. And I was wrongly impressed by the fact that that pre-recession rate of spending growth was faster than the rate of growth of the economy and of the population put together, meaning that government was already getting much bigger every year, even before the recession turbo-charged it. Far from being a conspiracy to do down the unionized working class, I had been under the mistaken impression that the government’s plans to cut $4 billion in annual spending over four years was actually too timid a target and was highly unlikely tput us back in budget balance, especially since population aging is about to make public finances deteriorate even further. And that the financial crisis was really irrelevant now that we have recovered all the jobs and all the economic activity we had lost during the recession. Finally, I was clearly wrongly impressed by what happened the last time we squeezed the public sector in order to fix public finances. After Jean Chretien and Paul Martin balanced the budget we enjoyed a decade of high growth, falling taxes, rising investment and explosive jobs growth—all while cutting all-government spending from over half of GDP to under 40 percent. And PIPSC’s stated objective in joining the CLC—a strictly non-partisan desire to protect public services—enabled me to put to bed another of my misconceptions: that a union with that in mind would have joined up when the Liberals were cutting 90,000 federal jobs in the 1990s, not after years of Tory-led public sector expansion. Golly, I just had it backward until I read that. I thought the issue wasn’t the growth of white collar trade unionists, but that private sectors workers were abandoning the trade union movement in droves. Its class warfare mentality is singularly ill-suited to a free-trading world where workers and management must work together to best foreign competitors. Thus over the last 50 years the trade union movement has become the preserve of public sector workers, whose unique circumstances are a trade unionist’s dream. If the unionized workers go on strike at GM or Ford or Chrysler, you can still buy a car from (non-union) Honda or Hyundai or Toyota. If Air Canada goes on strike, you can still fly WestJet or Porter. But if the people who issue EI and CPP cheques and passports, who control the border and inspect our food go on strike, the service they provide disappears, inconveniencing angry voters and frightening politicians. This effective monopoly confers a bargaining power private sector workers can only dream of, while their employer is immune from the threat of bankruptcy. These workers thus frequently enjoy better pay and benefits than their private sector counterparts, who foot the bill. In my naïvete I thought preserving these unearned privileges was the best explanation for public sector workers’ love affair with trade unionism. I understand so much better now. And that’s why I just love newspapers. In Stephen Harper’s long and painful education in the arcane art of managing political power, few things are proving so difficult for him to master as the thorny problem of Quebec. Two recent decisions show that he is still feeling his way, pulled in different directions by powerful forces. Yet finding his bearings and managing his relationship with Quebec successfully will be one of the tests that will determine if he becomes a great prime minister or merely a competent one. There is not much political precedent to guide Mr Harper. The number of prime ministers who managed to achieve parliamentary majorities with only token representation from Quebec is about as long as the list of charismatic contenders for the Republican presidential nomination. He owes his majority to the west and Ontario, regions that have chafed at Quebec’s political dominance over the last century. After 1968 it seemed a vain hope ever to see a prime minister from another province lasting longer than a month or two in office. And the national unity question seemed to mean that every dispute involving Quebec’s interests was immediately elevated to a matter of national survival. Quebec referendums (or the “neverendum”) felt to many like a cocked gun at the country’s head with the trigger finger belonging to sovereigntists who despised Canada. So when the Conservatives finally won their parliamentary majority expectations were high that many policies that had seemed to confer unearned advantages on Quebec would be swept aside. But Harper is no revanchist. He aspires to win more seats in Quebec in the future. Yet he must also deal with the pent up frustrations of much of the rest of the country. And he is finding it hard to strike the balance. The two recent decisions that reveal this deep ambivalence dealt with the naval shipbuilding contract and the distribution of seats in the Commons. On the shipbuilding contract the Conservatives spared no effort to come up with a process that would be seen to be fair and transparent, ostentatiously awarding the contracts on merit and not political criteria. In this Harper was surely reacting to the fury ignited in the west by the Mulroney government’s decision to award a fighter plane maintenance contract to a Quebec firm in preference to a Winnipeg company that had actually submitted a bid judged superior by government officials. The firestorm that erupted led directly to the birth of the Reform Party and ultimately sealed the fate of the Progressive Conservatives. This time the contracts have gone to two companies, one on each coast, leaving Quebec’s Davie shipyard the wallflower at the shipbuilder’s ball. Quebeckers, used to these things being rewarded for reasons of political power and patronage, are outraged and will challenge the decision, but it was the right one and should stand. The only way in the long run to reduce regional tensions is to make such decisions on the basis of merit, so that all Canadians feel they have a fair crack at government business if they provide good quality at a competitive price. Chalk one up for Harper. His apparent climb down on his proposed expansion of the House of Commons, however, is the exact opposite of the shipbuilding decision. Successive governments diluted the principle that all Canadians should be equally represented in the Commons. Fast growing regions were never granted the number of seats justified by their burgeoning population; the distribution of political power in the country thus always lagged the distribution of people and growth. As a down payment on fixing this, the Conservatives promised that 30 new seats would be added to the Commons and that these seats would be divided up among BC, Alberta and Ontario, the long under-represented provinces. Even 30 seats would not have wiped out the distortion, but would have gone a good part of the way to correcting it. In the face of Quebec handwringing about loss of influence, however, Harper has reportedly blinked. The number of new seats is to be reduced and Quebec is to be granted additional seats too, even though its Commons representation is almost exactly what its population would warrant. This smacks of the bad old days and ways. Instead of applying an unassailably fair principle (equal representation of all Canadians in the Commons), the government has caved into threats and intimidation. This is a pity, not only because of the damage it does to parliament’s ability to represent all Canadians, but also because it wrongly assumes that Quebeckers will not accept the basic fairness of rep by pop. There are lots of political issues where Harper can give ground to Quebec because there’s no fundamental principle at stake. But where the fairness and integrity of our institutions is concerned, there should be no room for horse trading. This week’s elections in both Manitoba and Ontario confirmed that the real opposition to Ottawa’s power lies in the provinces, not on the opposition benches in parliament. Ontario in particular has made almost a fetish of putting parties of opposing stripes in power in Ottawa and Queen’s Park. Go right back to the earliest days of Confederation and Sir John A. Macdonald’s great political nemesis. It certainly wasn’t federal Liberal leader Edward Blake. Until Stéphane Dion and Michael Ignatieff, Blake was the one and only federal Liberal Party leader never to serve as prime minister. No, the great thorn in Macdonald’s side was Oliver Mowat, Liberal premier of Ontario. And once Ottawa shifted decisively from early Tory rule to Liberal rule, under Laurier, Mackenzie King and their successors, Ontario embraced the Tories provincially with enthusiasm. Except for Liberal premier Mitch Hepburn (himself first elected during the brief years of R.B. Bennett’s Tory rule in Ottawa) that Tory dynasty went on and on. Brian Mulroney’s Tory victory in Ottawa was a harbinger of Liberal David Peterson’s ascent in Ontario. And so on. Of course there have been epic political battles in Ottawa between government and opposition — think of the infamous Pipeline Debate of 1956, or the bare knuckled brawl over Trudeau’s constitutional reforms — but most of the real battles of our political history have been ones between Ottawa and the provinces. And on these clearly voters have usually preferred to have champions of differing political hues representing them in Ottawa and the provincial capitals. 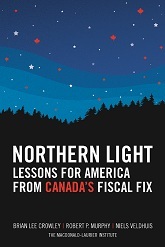 Historical examples are legion, but relatively recent ones include the National Energy Policy, some of Ralph Klein’s health care reform proposals, two Quebec referendums on sovereignty and the battles over cuts to provincial transfers that were integral to the great fiscal reforms of the 1990s. There are lots of theories to account for this predilection of voters for governments of opposing stripes at the federal and provincial levels. One is that, in a country riven by regional rivalries and envy, local politicians find provincial nationalism to be electorally profitable. They find this easiest to do when they have no common party identification with Ottawa to confuse their loyalties. Former Saskatchewan premier Tommy Douglas used to say that if you could run against Ottawa rather than the other parties in the legislature in a provincial election it was worth an extra 10 percent on your vote. He would know — he took one of the safest Liberal provinces in the country and turned it into a CCF/NDP stronghold, in part by clever management of latent suspicion of distant Ottawa. Premier McGuinty may therefore owe his re-election, such as it is, at least in part to Ontario voters’ view of the new federal political status quo as to anything he did to earn that election himself or to the weakness of his chief opponent in the election, Tim Hudak. His lackluster performance clearly inspired no noticeable enthusiasm among Ontarians. On the other hand, the federal Tories now have a stable majority for the next four years, and a disorganized and fragmented opposition may give them a relatively free hand for longer than that. Circumstances like those have frequently brought a countervailing vote at the provincial level, even in provinces where the federal government does well electorally. That may have tipped the balance in McGuinty’s favour. No doubt Stephen Harper will be somewhat disappointed by the outcome. He would have seen the election of a Tory government in Ontario as providing him both with an ideological ally in federal-provincial negotiations and as further evidence that his ambition to see the Tories displace the Grits as Canada’s dominant party is being realized. But he should be careful what he wishes for. The re-election of the McGuinty government may in fact signal that Ontarians, at least, have accepted Harper’s dominance in Ottawa and simply done what they always do — prevented any one party from holding all the cards. And one of the explanations for the dominance of the Tories in Ottawa is that the party’s talent pool that for so long ran Queen’s Park moved to Ottawa once the Tories took power there. Similarly the Liberal eclipse in Ottawa has surely sent a number of their most skilled operatives to Toronto (and Quebec City), where jobs for deserving and needy Liberals are more plentiful than almost anywhere else in the country. It may be that no party has the depth of talent to run too many of our biggest governments all at once. Dalton McGuinty’s near-death electoral experience this week will likely cause him to cast about for a new strategy to give him renewed momentum and political capital. Judicious picking of fights with Ottawa is a tried and true path to provincial political success. My post-election forecast: stormy weather on the federal-provincial front. September 24, 2011 – Ontario NDP leader Andrea Horwath and her candidates are shouting from the rooftops that NDP governments “have run fewer deficit budgets than any other party.” In my latest column for the Ottawa Citizen, I point out that the Ontario NDP shouldn’t take credit for the fiscal record of their Prairie cousins because that is not the story in Ontario and British Columbia. Read the full column here. Freedom American-style is the freedom to try, not the right to succeed. Freedom isn’t important because our dreams always work out, but because ultimate responsibility rests with each of us to do what we can with what we have. Free men and women are responsible for what they become, and that responsibility is an awesome burden that many around the world would give anything to bear. Yes, the liberty that Americans so value can be misused and abused. But then if you give freedom to all people, what results is the fullest expression of all the yearnings that beat within the human breast. Some of them are mundane, some obscene, some incomprehensible. But some are glorious, powerful and spiritual. In the wake of the murderous attacks of Sept. 11, 2001, I wrote about what America means to me and the world. Nothing in the intervening decade has changed my view, including America’s excesses in responding to the terrorist threat. Today it is fashionable to feel smug schadenfreude over our neighbour’s difficulties. It may therefore be salutary to spend a moment remembering why America bulks so large in the world’s imagination and therefore why the attacks those 10 long years ago were more than just the vicious assassination of thousands of innocents and more than an attack on a single country. Here, slightly edited, is the newspaper column I wrote in those dark days. Most of us are still speechless in the face of the enormity of the evil done in New York and Washington. If you’re like me, you are seeking some way to make at least a flicker of light in the sea of darkness that has settled on the human spirit, to make some gesture, however tiny, to say that what has been done to my friends and neighbours is inhuman and intolerable and shall not stand. What I can best do to put my grain of sand on the balance on the side of good is to say what America means to me. Because make no mistake about it, what terror sought to blot out on Sept. 11 was what America means to millions of people who are not American. If, as I believe, America symbolizes the yearning of billions of people to be free, then we have a duty to stand up and say that what America represents shall never be defeated by hate and terror. It can only be defeated by the indifference and complacency of those for whom freedom matters. The America that I have come to love and admire is not official Washington or Wall Street. It is the idea that animates American life, and the character that idea has imbued in the American people. That idea is that freedom matters more than anything. America is the place where people, no matter what their circumstances, no matter what their origins or social class, no matter what their mother tongue, can deploy their own energies in an attempt to become what they want to be. It was no accident that citizens of scores of nations were killed in the attack on the World Trade Center. America is a beacon for those who want to be their own masters, who dream of doing what they want. America is so feared by the world’s zealots and ayatollahs because it constantly reminds people that life, liberty and the pursuit of happiness is an ideal deeply rooted in a powerful nation and will never release its grip on the human imagination. As for the character of Americans, it has something to do with a semi-articulate consciousness of having been blessed with liberty. Forget about the bluster and boastfulness of some Americans. If you want to see them as they really are, go to any small town on the Fourth of July and see the faraway look in their eyes as they sing the national anthem, hand on heart. They do not doubt that their country has bestowed upon them something so precious that, if they have to, they are willing to die to defend it. That’s not jingoism – it is patriotism of the most admirable and moving kind. Yes, the liberty that Americans so value can be misused and abused. But then if you give freedom to all people, what results is the fullest expression of all the yearnings that beat within the human breast. Some of them are mundane, some obscene, some incomprehensible. But some are glorious, powerful and spiritual. America is a country of excesses because it is the largest canvas in the world on which all facets of the human spirit are free to paint. Thousands of innocent people died on Sept. 11 because of what the United States represents. In responding to this outrage, America will, of course, make mistakes – what would be the value of freedom if the answers to all the difficult questions were already given? But they will never shrink from defending the idea on which their republic was built, because it is worth defending. America, it is true, is a sometimes exasperating, even infuriating neighbour. And I would have no other. For there to be a peace to keep, you have to be stronger, not weaker, than the combatants you wish to pacify. If Canadians want to contribute to a safer world, one where war is less rather than more likely, we have to have serious equipment and trained soldiers and the will to use them in defence of what we believe in. That costs money and risks lives. But then, who wills the end wills the means. The column has also appeared in the Vancouver Sun. My father, an only child who feared his father and worshipped his mother, seriously defied them only once in his youth. He signed up to fight in the Second World War. When he broke the news, all hell broke loose. His father ordered him, and his mother begged him, to back out. He was having none of it. Why? Because he thought the fight a necessary and honourable one, and he wasn’t prepared to let others go in his stead. He felt the call of this duty even more powerfully than the duty he owed his parents, although it cost him dearly to make the choice. My dad thought of himself as a proud Canadian. In recent decades, though, a vocal minority have put a lot of energy into a campaign to make peacekeeping the only politically acceptable international military role for Canada, portraying combat as somehow unCanadian. My dad had the better part of that argument. He would have said there are two great weaknesses of the fixation on peacekeeping as the sole role for Canada’s military. One of those weaknesses is moral, the other practical. Let’s take the moral one first. The subtext of the peacekeeping mantra is that there is nothing worth dying for. My dad and his generation knew better. And our own generation does too. As we turn the page on our combat mission in Afghanistan, we can look back and see that we lost 157 military personnel (plus five civilians) and saw nearly 2,000 wounded. Relative to the size of our contingent our casualties were higher than anyone else’s among the ISAF/NATO forces. In absolute terms they were the third highest. According to my friend John Thompson of the Mackenzie Institute, the Taliban complained that Canadian troops were tougher than their American, British or Dutch colleagues – quicker to engage the enemy and more tenacious in pursuing the fight once started. Our thoroughly Canadian young men and women in uniform – volunteers all – are fierce and proud fighters who believe there are things worth dying for. They are the best of us. But were our troops exposing themselves to danger for good reason? To listen to some politicians talk in the latter years of our 10-year combat mission you wouldn’t think so. There was a lot of hand-wringing about nation-building, for example, but we weren’t there to engage in nation-building. We went into Afghanistan for the good and sufficient reason that we were honouring a solemn promise to come to the defence of our friends if ever they were attacked. How quickly people forget, even though the horrific events of 9-11 are barely a decade old, that al-Qaeda used Afghanistan as its base of operations for the cowardly attacks on New York and Washington. Osama bin Laden and his minions sheltered behind the fundamentalist fervour of the Taliban regime. Our mutual promise to our NATO allies was that we would regard an attack on one of us as an attack on us all. And we made that promise to each other because we knew that preserving our way of life, enjoying our freedoms, being safe from attack, was something worth dying for. As long as there are people willing to kill to get what they want, only being willing to keep the peace but never to create it by confronting a real enemy is not a noble calling, but a cowardly prevarication. Ponder for a moment the fate of the Balkan town of Srebrenica in 1995. Lightly armed Dutch peacekeepers were sent by the UN into this Muslim enclave and ordered to keep the peace between the Serbs and Muslims. The Serbs captured a number of the blue berets, holding them hostage, and finally showed up with tanks, ordering the hapless and outgunned Dutch troops to hand over the Muslims sheltering on their base. Some of those soldiers still have nightmares about being forced to surrender people under their protection to the Serbs, who promptly massacred about 8,000 of them. The truth is that some people will only submit to the discipline of peace when they are taught they cannot get what they want by violence. You cannot create peace between people committed to war unless you make the price of war unacceptably high. There lies the practical weakness of the peacekeeper ideology. For there to be a peace to keep, you have to be stronger, not weaker, than the combatants you wish to pacify. If Canadians want to contribute to a safer world, one where war is less rather than more likely, we have to have serious equipment and trained soldiers and the will to use them in defence of what we believe in. That costs money and risks lives. But then, who wills the end wills the means. My dad taught me that. July 2, 2011 – In my regular column for The Ottawa Citizen, I discuss what really makes Canada great and democracy, diversity and free health care don’t even make the list. First, as a creature of the New World, we have escaped much of the prejudice and many of the social and cultural barriers that disfigure the Old World. The second thing that makes Canada great is freedom and the final thing is our willingness to sacrifice to protect the freedoms uniquely available to us in the New World. Read the full column below. Since the release of my column, it has received wide distribution in the media. It has also appeared in the Montreal Gazette, Calgary Herald, Windsor Star, and Regina Leader-Post. Canada Day weekend is a time to celebrate what is great about Canada. But what, exactly, is it that makes Canada great? Everybody has a country, but Syrians or Burmese or Iranians do not have the same reasons to celebrate that we do. Even the Egyptians and Tunisians, justly proud of their recent revolutions, are increasingly anxious about what may come next. Everybody may have a national day, but some people live in fear of their government, which tends to dampen their patriotic ardour. Democracy is certainly part of why we want to celebrate Canada, but it is actually a far smaller part of what makes this country great than most people imagine. Madmen such as Adolf Hitler, Hugo Chavez and Mahmoud Ahmadinejad all rose to power through democratic institutions. Dictators have often used the form of democracy to legitimize their rule, when democracy’s precious essence had long ago expired. It cannot be “diversity” that we celebrate, at least not in its risible institutional form. The U.S.S.R. was home to huge ethnic diversity, but its people had to be prevented at gunpoint from leaving. “Free” health care or unemployment insurance can’t be the answer. Canada was a desirable place before those relatively recent innovations, just as there are societies with more developed social programs, yet Canadians do not aspire to move there. In fact, there is something about Canada that doesn’t just make it a pleasant place to live, but one of a handful of societies that the rest of the world looks on in envy. If we opened the doors to this country tomorrow, the torrent of humanity that would flow in would be beyond imagining. There are three things that make Canada a great nation and worth celebrating. The first is that, like America and Australia, we are a creature of the New World. We are not an ancient civilization like Europe or the Middle East or China. We have escaped much of the prejudice and many of the social and cultural barriers that disfigure the Old World. Our life prospects are not determined by our religion, our ethnicity, our accent, our caste, our party membership or our social class. That doesn’t mean that people don’t fail, or poverty doesn’t exist. It means the barriers I’ve described are not impermeable as they are in many societies. Yes, there has been prejudice. My family, which arrived from Ireland nearly two centuries ago, suffered from the prejudice against the Irish common at the time. But that has been overcome, and we have worked successfully to defeat many such prejudices over this country’s history. Some remain; the disgraceful plight of aboriginals tells us that there is still work to be done. But that does not negate what we have accomplished. People come to Canada so that the sum of their life choices is not determined by their birth. People born here literally cannot imagine what that’s like, and so don’t appreciate how rare an achievement it is. But those who come here know, and often make great sacrifices so that their children will never know a society where your fate is sealed before you take your first breath. The second thing that makes Canada great is freedom. Canada is free and freedom is her nationality, intoned Sir Wilfrid Laurier – and in so doing encapsulated the great tradition of freedom which has been bequeathed to us, a tradition that finds its roots in the British liberal tradition, but whose benefits have been conferred on every Canadian, regardless of their ethnic origin. Many people believe freedom was introduced to Canada by the Charter of Rights and Freedoms, but that Charter is such an important document because it codifies part of a tradition that reaches back deep into our colonial past. One of the reasons I still think of my holiday as Dominion Day is because it reminds me that we did not “liberate” ourselves from colonial masters, but are, every one of us, the inheritors of institutions and attitudes bequeathed to us by the great British tradition of freedom. Freedom plus the New World together make a society in which each of us has been given more latitude to shape our lives according to our individual beliefs and desires than anywhere else on the face of the earth. Finally, what makes Canada great is our willingness to sacrifice to protect this precious and rare inheritance. Whether facing down Nazism or Communism, whether in Korea, in Kosovo, in Afghanistan or Libya, Canadians have always been willing to put everything on the line so that the things we most value will be protected at home and abroad. The willingness to sacrifice to protect the freedoms uniquely available to us in the New World: now that’s cause to celebrate. Brian Lee Crowley is managing director of the Macdonald-Laurier Institute, an independent nonpartisan public policy think-tank in Ottawa.